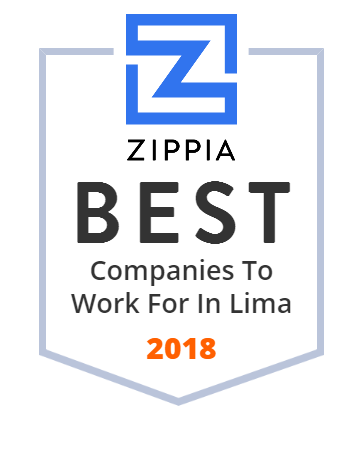 We hand-curated a list of the best companies to work for headquartered in and around Lima, OH using data on salaries, company financial health, and employee diversity. Rhodes State College is a public, state-assisted institution of higher learning which is chartered to provide degree granting career education programs. The law firm of Baran, Piper, Tarkowsky, Fitzgerald & Theis, Co., L.P.A. is proud to have represented the interests of its clientele for over 60 years. Lima Senior High School, the only high school in the Lima City Schools District, was established in 1955, in Lima, Ohio. There are approximately 1,500 students currently enrolled at Lima Senior. Shop Sheely's Furniture & Appliance for an amazing selection of Furniture & Mattresses in the Ohio, Youngstown, Cleveland, Pittsburgh, Pennsylvania area. CHCC is a contemporary Medicare and Medicaid approved facility, specializing in short-term rehabilitation services. Our 14 automotive service shops throughout Ohio, Kentucky, and Pennsylvania are here whenever your check engine light turns on or your tires wear out. International Brake Industries, Inc. manufactures and supplies brake hardware and hydraulic parts to the automotive brake aftermarkets. It offers drum and disc brakes, brake hardware for disc brake equipped vehicles, disc brake pistons and caliper repair kits, wheel cylinder repair kits, and master cylinder repair components. The company also provides private label packaging services, and research and technical support services for new sources and parts; and programs for traditional, remanufacturing, OES, retail, programmed groups, and installer business channels. It serves rebuilders of brake master cylinders and disc brake calipers; and exports products to South American countries. The company was founded in 1967 and is based in Lima, Ohio. International Brake Industries, Inc. operates as a subsidiary of Qualitor Inc.
Lima Memorial Health System is a not-for-profit healthcare organization serving northwest Ohio, and offering comprehensive healthcare close to home. East of Chicago Pizza is a restaurant chain offering different styles of pizza, buffalo wings, breadsticks, and subs. Over 75 locations in Ohio, Georgia, Indiana, Kentucky, West Virginia, New York, Michigan and South Carolina.